I began a family blog early in 2009. I wanted to share our life with family, especially Big Sister's story with verbal apraxia. (It is strange to think I have been blogging for nearly five years!) After a few months I created a second blog where I was more comfortable to share things from our home, while keeping some information private. At the beginning of 2012, I decided to start from scratch. I wanted a new name and more focus. So This Simple Home began. Here is a bit of what I've learned about blogging along the way. 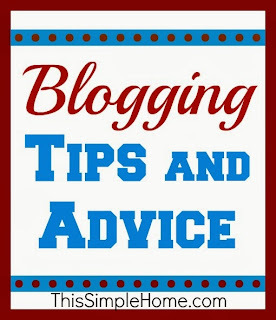 A few of my real life friends and acquaintances have asked for a bit of blogging advice when they were considering beginning a blog. So here I am to share my thoughts with you before you begin blogging. It's a bit easier to post it here than to recreate it each time someone asks, especially since I will likely forget something! 1. Have a blog purpose. Of course, each blog has a different purpose. Once you know yours, you can move forward with the other steps. A specific niche helps a blog to grow because you will always be writing about what interests your readers. I knew this blog would focus on what makes my home and family tick; its topics cover more than just recipes, books, or homemaking, but together, they make our home. 2. Make the blog name reflect the purpose. By doing so, it can help search engines find you. You may need to have a few choices for blog names since your first choice may not be available. 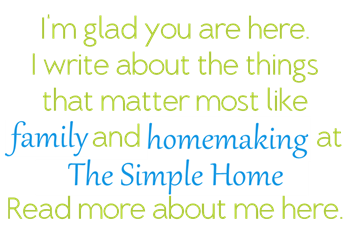 The name "This Simple Home" attempts to capture my purpose in keeping our life at home uncomplicated. 3. Create an email address just for blogging purposes. It could be the name of your blog or your own name, but it should be different than your personal email address. Gmail seems to be the go-to for bloggers. 4. Choose your blogging platform and create your blog using it. Blogger and Wordpress are the most popular blogging platforms, but there are certainly others available. Both are free...kind of. Wordpress has a free version. Initially, I chose Blogger for my first two blogs, but when I began this blog, I recognized some of the benefits of Wordpress, as well. I tried my the free version of Wordpress and found it wasn't as user-friendly as Blogger. 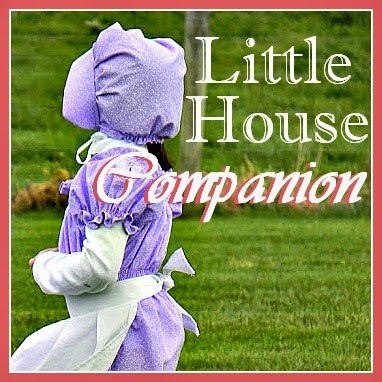 I strongly considered using Wordpress when I began my newest blog, Little House Companion. I decided the cost involved in paying for hosting Wordpress was not worth it. Please Note: A lot of bloggers claim you have to use Wordpress to be taken seriously and look professional. They often claim you don't own your own content if you use Blogger. However, if you read the Terms of Service (as you should with any service), Google clearly states you own the content. Unless you are doing things on your blog you should not do, they will not shut you down. If you learn HTML, you can customize your Blogger blog to look fabulous (or pay someone to do it). I also belong to a Facebook group for Blogger blogs. They are fabulous about supporting one another. If you are concerned about your blog being shut down or not owning your content, be sure to read about Blogger myths here. Update: You can also buy a template to create a unique-looking blog for any platform. I did that for my author blog, AnnetteWhipple.com on Blogger. I plan to buy another template which will be more mobile-friendly and such soon. 5. Own you domain. (.com). Maybe. Own our own domain if you want your blog to look professional and be easy to remember. Don't have blogspot.com or wordpress.com in your blog's URL. 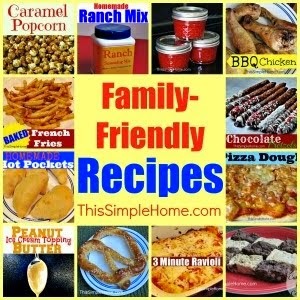 (www.thissimplehome.com instead of www.thissimplehome.blogspot.com.) I purchase my domains for $10 or less per year. GoDaddy is recommended by a lot of bloggers. I used it. When I was confused how to do something to finish setting up the account, I called them. Their customer service was quick and easy. My question may have been simple, but they did not make me feel stupid. Setting up your blog is rather simple. Once you have your blog set up, then you have some things to consider, and later you can personalize it. 6. Photographs. Most blog readers would agree that an image is nice, and even needed, to include on blog posts. If you want more people to find your blog, I would definitely recommend using photographs because Pinterest needs an image to "pin." (Most of my traffic comes from Pinterest than any other site!) Crisp, clear pictures are best, of course, but there is more to consider than just including an image. Shrink the size of the photos, but make them appear large. I typically make my photos about a third of the original size. This limits the uses if someone does try to use them for their own purposes and uses less storage space. However, for display purposes, they should be large. That's something you change when you are creating your blog post. Children's faces. Overall, I don't mind my children on the internet when I have control, but if it is a straight-on shot of their face with them looking at the camera, I prefer to move my watermark to their face for their own protection. *Other peoples' children*. If you have photographs of others' children, you should have permission to put their faces on the internet. You may not mind, but others may! Many people prefer to keep their children's images off-line. For Big Sister's Little House birthday party, I posted all about the party, but using camera angles and cropping, I kept the guests anonymous, as you can see. I keep this same rule for Facebook, too. Name and organize your photos. I have read on several sites (here is one) that naming your photo (apple_muffin.jpg instead of IMG_0123.jpg) makes it search engine-friendly. I have also found that I prefer it when organizing my photos. I organize my blogging photographs in folders related to my blogging topics like books, food, cleaning/organizing, faith, children. Occasionally I even have a subfolder. Only use photos with permission. 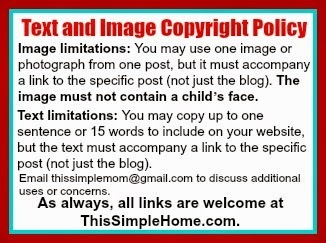 Do not use a photo from another blog or website, even if you are linking to it, without permission! Permission is often granted, but don't steal. If you use Google to look for an image, please note that just because the image is "searchable" does NOT mean that it is free for you to use! Copyrights are important; don't violate them. Make your images "pinnable." By labeling your image with words, it will be easier for Pinterest users to know what the post is about. Pinterest is the top source for traffic on This Simple Home and many other blogs, so it is important. If you have a topic that you do not have a good photo for, you can (once again) use Picmonkey to create an image. The images below show how the words on the photo or background help to know at a glance what the post is about. The vinegar and Dawn bathtub cleaner just looks like cleaning products. The middle image quickly tells the reader the who and what: Chapter books for middle grade boys. The cinnamon rolls are a bit difficult to identify without the label. 7. Share with others. Once your blog is up and running with several posts, be sure to tell others about it. You might be surprised at how many real-life friends and family will be supportive of your efforts. (But be realistic. Some loved ones will never look at your blog.) You can and these days should also create social media accounts specific to your blog. I have a Facebook business page for This Simple Home, separate from my personal account. (I still share what is happening at the blog on occasion on my personal account.) I also use Google+ and Twitter. One thing I would recommend all bloggers have on their blog is an RSS feed so that others can subscribe to your blog through their blog reader and email. I use MadMimi for my email subscribers. (I use Feedly to read a handful of blogs.) By using the feed, readers don't need to remember to type in your blog's address each time they want to see what is happening. They will automatically get updates each time you post, with the option to click through to your blog. As you are looking to grow, consider hosting an occasional giveaway or freebie if applicable to your site. When you are beginning, a gently read (and recommended) book, a craft, or a free printable...or if you offer a service give that service away to one (or all of) your followers. 9. Post titles are important. Search engines use your post titles to know what you are writing about, so use the titles wisely if being found is important to you. I have read that the first three words are important for search engines. (Another tip is to use those important words throughout your post to also increase search engine optimization [SEO].) In Blogger, you can even put in a "search description that helps make it even more SEO friendly. 10. Use your manners. Cite your sources whenever you can. Many of my recipes are from my pre-blogging days, when I did not keep track of where I found recipes. However, if I find and tweak a recipe from another on-line site or a book, I make sure I tell my readers. When I made my Star Wars peg dolls, I made sure to tell my readers the other sites that inspired me. It's just good blogging manners! Once again I will say not to "borrow" another blog's image without permission. Even if you are linking to the blog, you should still have permission to legally use it. And, I hate to say this, but I've seen it happen. Never copy and paste an article or even a recipe word for word! Even fifth graders know that is plagiarism. Somehow, folks often think it's okay if they link to the original poster. It isn't. 11. Be honest and provide disclosures. Always. When writing a review, be honest about the product and that you received it for free (or for compensation). If you are given a product to review or paid to share something, be certain to tell your readers. It isn't only good manners, it is the law; also read here. 12. Consider if you want to earn a little money from your blog. Don't fool yourself into thinking you will be earning an income from your blog to replace the one you make now. Very few bloggers are big-time bloggers. But you can still earn a bit or a lot of money, depending on the number of hours you can put in it. Ads. You can monetize your blog by placing ads in the sidebar. These (like mine) earn a tiny (pennies or dimes per day on small blogs or LOTS on big blogs. I typically earn a few dimes a day with AdSense) commission for each click, but you are not allowed to click the links of your own blog, which makes sense. Amazon and other affiliates. Amazon has an affiliate program that allows you to earn a commission on all purchases through specific links on your blog (but your own purchases do not count). Typically, a purchase will earn 4-6% of the purchase price (at no additional cost to the customer). (On a $10 item, you may earn just forty cents. Yes, it takes awhile for it to add up, but over time it does. I have my account set to pay me with an Amazon gift card once my earnings are $10. On my medium-sized blog, I do not even earn $10 every month.) When you link to an affiliate account, be sure to state that is is an affiliate link. Sponsored posts. I also make occasional money from sponsored posts. I only apply to work with companies I really believe in and am not often chosen (maybe 1 in 5) for a campaign, but it's fun when I am chosen. Mom It Forward, Linqia, and Mom Central are where I've had the most success. 13. Get to know other bloggers. Visit other blogs. Leave comments and enjoy interacting with them. When someone leaves you a comment, send a reply, if you can. Participate in "link-ups" by linking to your own blog AND visiting/commenting with others. 14. Don't let blogging replace real relationships. I remember thinking how weird it would be to make friends over the internet. Yet, I have some good friends through blogging! A few friends and I keep in touch through emails and facebook in addition to comments. Especially with my family blog, I have to check myself to NOT say, "Didn't you see it on my blog?" Keep relationships real with real conversations. I have truly gotten to know some real-life friends better through their blogs, but blogging is not the end! 15. Design. A few years ago, many blogs had a scrapbookish design. Today, many blogs are more streamlined and less busy. Make your blog your own, but look at other blogs to see what you do and do not like about them. Many want their blogs to look like a "real" website. Some blogs include a playlist of songs they like. Since I like to use the computer in the quietness of my day, if I forgot to mute my speakers, I feel assaulted by even the most beautiful of music. (But really, that may just be me!) My best advice for sidebars is to keep it minimal. If you have lots of lists it just looks like clutter and it's all ignored. 16. Keep it real...and discreet. Yes, you want to be honest with your readers, but keep in mind that you may not know that your neighbor, great aunt, or child's teacher is reading your blog. If you wouldn't say it to everyone, don't write it on your blog. You may also want to be careful of using your location and your full name. That is up to you. (I choose not to blog our town's name, though my readers know the general area where I live. I still share that it is rural Pennsylvania, but I intentionally do not share specific details on the blog, though blogging friends know more than that.) Some bloggers create a code name for their family members which reflect their personalities others use real names. Some use book characters for inspiration or cute nick names. I'm not so creative and use Big Sister, Brother, and Little Sister. Bloggers, what would you add to this to help someone getting started with their own blog? 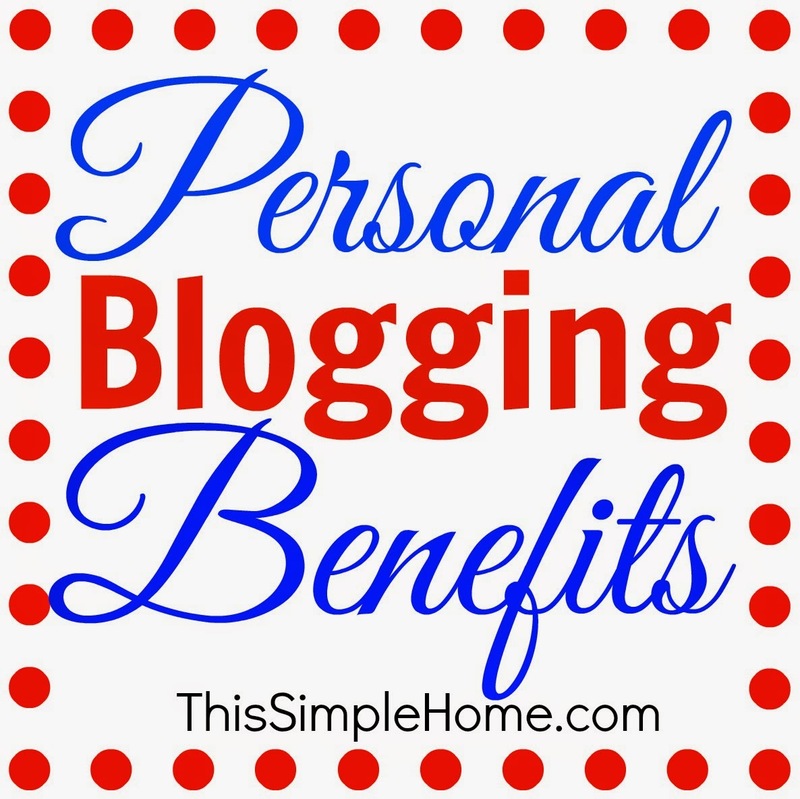 I've shared my personal benefits of blogging and hope you have great rewards yourself. 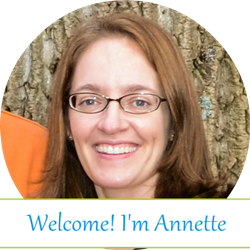 Great tips, Annette! I even learned a thing or two, and I've been at this for years (though I don't know it all, for sure)! Had to laugh about the music part - I keep my speakers on mute all the time, because I always get startled when music starts playing on a site...of course, this means I am usually part way through a video wondering why there is no sound when I remember the speakers are on mute....sigh. Your tips look pretty good to me. These are very helpful! Thanks! You have lots of good resources for me to follow up on before I start my blog. Great tips thank you for taking time to write this post!